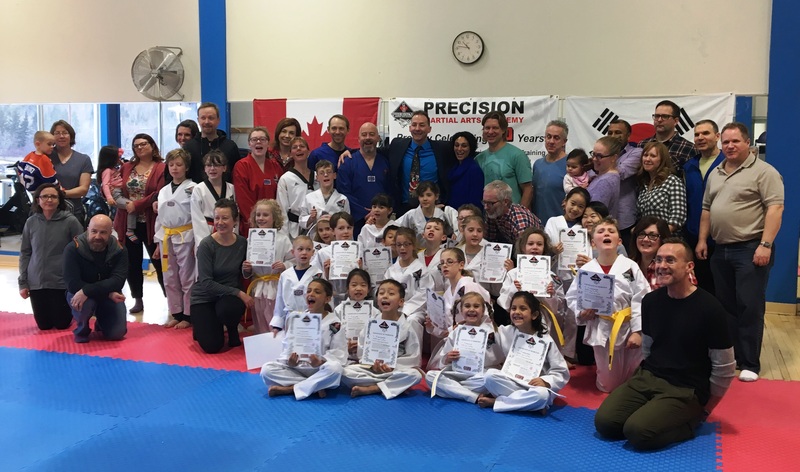 Precision Martial Arts Academy (PMAA) proudly offers World Taekwondo and Fitness training at our Branch Club, located at The Royal Glenora Club (RGC) in Downtown Edmonton’s beautiful River Valley. We have been teaching Children, 6 years of age and older for four years on Sunday mornings at RGC. We are grateful to RGC for their hospitality and to the wonderful Families that support their Children by getting them to classes every Sunday morning. It is truly a very special day of the week and we feel blessed to share our Coaching expertise and passion for Taekwondo and Fitness with others. *We are super excited to offer a dynamic Taekwondo Family Class on Thursday evenings from 6:00 to 7:00 p.m. starting January 10, 2019. This fun and exciting class will serve as two (2) designated classes, the first being a “Family Class” where Moms and/or Dads get to de-stress, train, get fit and have some Martial Arts Family FUN with their child(ren). It will also serve as a second class (2x) per week option at a discounted rate for our current Taekwondo Students (Sundays) who wish to benefit from extra training for further development, improved fitness and growth. Essentially an “open” class which means ALL Belt Levels are welcome. SPRING SESSION NOTE: Spring Session ends on Sunday, June 16, 2019. Mark your calendars… PMAA has scheduled a very special Promotion Test / Graduation Ceremony to be held at RGC on Sunday, June 23, 2019. All RGC Students, Families and Friends are invited and encouraged to attend this exciting and action packed event. More details to follow.